We all have experiences that we quickly forget, but some experiences impact us so much that they stick with us our whole lives. Perhaps, for you, it's when you first came to faith in Christ, your wedding day or the loss of a loved one. Whatever the case, when we go through these kinds of experiences, they change how we look at everything, forever. And the same is true for followers of Christ as we apply the Scriptures to our modern world. Although the Bible tells us about many things that God has done, the arrival of the new covenant in Christ is a pivotal event that changes the way we understand everything, including the application of Scripture to our lives today. This is the ninth lesson in our series He Gave Us Scripture: Foundations of Interpretation, and we've entitled it "Modern Application and the New Covenant." In this lesson, we'll explore how the new covenant in Christ should guide the ways we apply all of Scripture to our own day. In our previous lesson, we learned how we must acknowledge epochal developments in the Old Testament as we apply the Bible to our lives. And we observed that one storyline underlies all of biblical history. The Bible teaches us that God rules from his heavenly throne in brilliant glory, and his goal from the beginning has been to extend his visible glory from heaven throughout the earth despite all who oppose him. As creatures made in his image, God ordained human beings to fill the earth and to rule over it in preparation for the ultimate display of his glory. And when God's brilliance shines everywhere, every creature will worship and praise him endlessly. We also noted that the drama of this underlying biblical storyline developed in six major chapters, or epochs, that built on each other cumulatively: the covenant epochs of Adam, Noah, Abraham, Moses, David and the new covenant in Christ. The cumulative nature of these epochal developments reminds us that while God's people must never return to serving God in the ways of the past, they must also never forget to apply the lessons of the past appropriately to their own day. 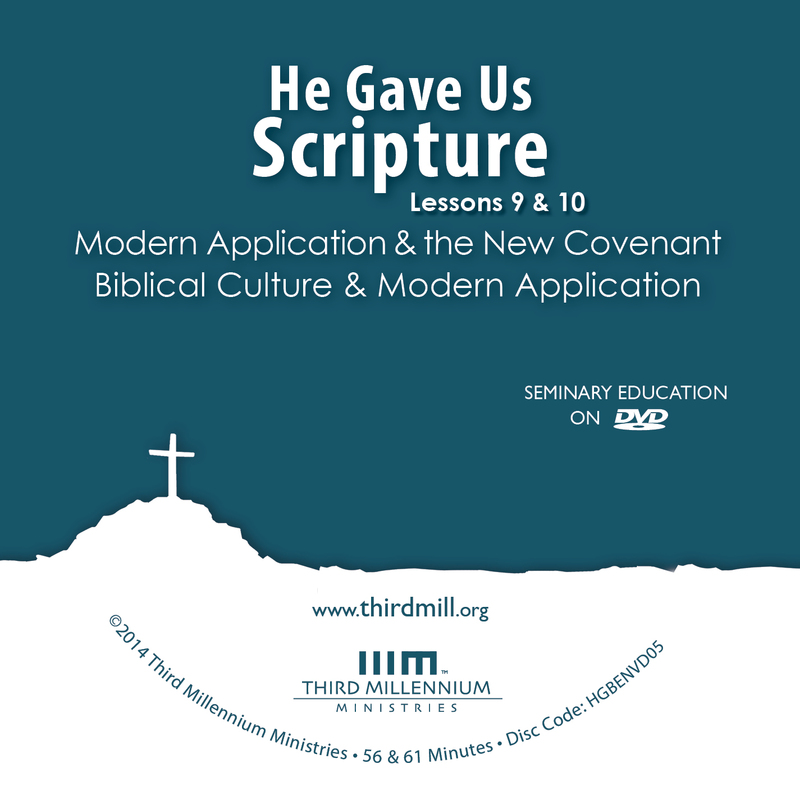 In this lesson, we'll explore modern application and the new covenant in two steps. First, we'll look at the fulfillment of the new covenant in Christ. And second, we'll see how the new covenant should guide our application of Scripture today. Let's begin with the fulfillment of the new covenant in Christ. We often imagine what particular experiences will be like before they actually happen — like, winning a competition or entering a new phase in life. But many times, we discover the experiences themselves are different from what we expected. Well, the same kind of thing was true for God's people in biblical times. Prior to Christ's coming, God revealed to his people many insights into what he would accomplish through Christ. But when the new covenant in Christ finally arrived, it wasn't exactly what his people had imagined. To see how this happened, we'll look at three facets of new covenant fulfillment in Scripture. First, we'll touch on outlooks that appear in the Old Testament. Second, we'll describe perspectives that developed during the intertestamental period. And third, we'll describe how the New Testament addresses the fulfillment of the new covenant. Let's begin with the Old Testament outlooks on the new covenant. Old Testament hopes for a new covenant rose out of words God spoke through the prophet Jeremiah as he ministered near the time of Jerusalem's destruction in 586 B.C. "The days are coming," declares the Lord, "when I will make a new covenant with the people of Israel and with the people of Judah… I will put my law in their minds and write it on their hearts. I will be their God, and they will be my people… For I will forgive their wickedness and will remember their sins no more" (Jeremiah 31:31-34). This passage raised many wondrous hopes for God's people. As we read in Jeremiah 31:31, God will make a new covenant with both the northern kingdom of Israel, and the southern kingdom of Judah. The new covenant will not fail because, as verse 33 explains, God will fulfill the ideal of putting his law "in their minds" and "on their hearts." And as verse 34 also indicates, these blessings will never end because God will permanently "forgive" and "remember their sins no more." When we consider these hopes for the new covenant age, it is hard to imagine anything greater. At this point in our lesson, we want to see how the Old Testament dealt with the fulfillment of these new covenant hopes. To begin with, it's evident that God initially offered to grant these blessings when he returned Israel from exile. "The days are coming," declares the Lord, "when I will bring my people Israel and Judah back from captivity and restore them to the land" (Jeremiah 30:3). The expression "the days are coming" appears in this verse as it does at the beginning of the prophecy of a new covenant in Jeremiah 31:31. And in this verse, "the days are coming" is explicitly associated with the time when God will bring his people "back from captivity and restore them to the land." In this light, it's clear that Jeremiah 31:31 initially associated a new covenant with Israel's restoration to the Promised Land. From the Old Testament perspective, Israel's restoration would take place at the culmination of history in "the latter days," or in "the last days." It would entail the establishment of a new covenant along with Israel's return from exile, the rebuilding of Jerusalem and its temple, the worldwide reign of the anointed Son of David, and the renewal of creation. This is what the Lord says: "When seventy years are completed for Babylon, I will come to you and fulfill my good promise to bring you back to this place… Then you will call on me and come and pray to me, and I will listen to you… I will gather you from all the nations and places where I have banished you" (Jeremiah 29:10-14). Here God offered the hope that if Israel "will call on him and come and pray," then God will "bring them back" to the Promised Land in seventy years. The same timetable is revealed in Jeremiah 25:12. As a matter of fact, in 538 B.C. God led the Persian emperor Cyrus to command Israel to return to the Promised Land. So, it's not surprising that in 2 Chronicles 36:20-22, the author of Chronicles closed his book by noting that Jeremiah's seventy years of exile were fulfilled at this time. But what of the many other blessings that were to come in the last days, the days of the new covenant? Sadly, those who returned to the Promised Land failed to serve God time and again. And as a result, the magnificent blessings of a new covenant foretold in Jeremiah 31 were postponed. Seventy "sevens" are decreed for your people and your holy city to finish transgression, to put an end to sin, to atone for wickedness, to bring in everlasting righteousness, to seal up vision and prophecy and to anoint the Most Holy Place (Daniel 9:24). As this passage indicates, God decreed a postponement of the greater blessings of the last days, the days of the new covenant, for "seventy 'sevens,'" seven times longer than Jeremiah's original seventy years. At that time, the hopes of the new covenant would be fulfilled. Transgression would be finished, sin would end, atonement would be accomplished, righteousness would come, vision and prophecy would be sealed up, and the Most Holy Place would be anointed. We've seen that in the Old Testament, the full extent of the new covenant was postponed due to the people's disobedience. Now let's turn to the intertestamental period — the time between the Old and New Testaments — and the perspectives many in Israel developed regarding the fulfillment of Jeremiah's prophecy, especially in the days just before Jesus' earthly ministry. It was obvious to everyone in the first century that Jeremiah's prediction of a new covenant had not yet been completely fulfilled. New Testament records and archeological discoveries indicate that different religious factions among the people of Israel had different perspectives, but there was widespread agreement on a number of basic issues. Toward the end of the intertestamental period, the vast majority of rabbis spoke of the hope of the last days, or the new covenant epoch, in terms of two great ages of history. In the first place, they referred to prior history and their current circumstances as "this age." The obvious victory of evil over God's people in the exile led the rabbis to characterize this age as a time of failure, sorrow and death. In the second place, the rabbis also spoke of a second great age of history, the time of future glory, as "the age to come." The age to come was also known as "the last days," "the kingdom of God," and as the age of a new covenant. The rabbis expected that when the age to come arrived, God's purposes for history would be fulfilled. He would return his repentant, exiled people in large numbers, restore the throne of David, spread his reign throughout the earth, bring judgment against those who refused to submit to God and to the son of David, and spread the blessings of Abraham to the ends of the earth. In addition to this, the vast majority of rabbis in Israel also taught that the transition from this age to the age to come would take place decisively with the appearance of the Messiah, the great son of David. The Messiah would bring about a grand turning point in world history, the transition from defeat to victory, from evil to righteousness, from death to eternal life, and from darkness to a world filled with the brilliant glory of God. With this background of Old Testament and intertestamental outlooks in mind, let's look at how the New Testament explained the fulfillment of Jeremiah's hope of a new covenant. We all know that in his Last Supper with his disciples, Jesus held up the cup and said, "This cup is the new covenant in my blood." Also, Paul called himself and his companions "ministers of a new covenant." And the book of Hebrews refers to Jeremiah 31 and affirms that Christians live in the new covenant age. But when we compare what's happening in our day with the description of the new covenant in Jeremiah 31, we realize that we're yet to see the new covenant promises in their fullness. The law of God isn't perfectly written on our minds and in our hearts. People in church still need to be told to know the Lord. We're still commanded to ask for the forgiveness of our sins. So, how can we be in the new covenant age when so many of Jeremiah's expectations are yet to be fulfilled? The answer lies in the mystery God revealed in Christ, how he was going to unfold the fulfillment of the new covenant. Different New Testament figures addressed these matters in different ways. For instance, Jesus, in a number of his parables, announced that the kingdom of God had begun with his earthly ministry, would gradually grow over time, and finally reach its culmination when he returned in glory. The apostle Paul addressed these matters in places like Ephesians 3:3-5, by referring to the fact that the mystery regarding the last days had been kept hidden from people in the past, but was now being revealed in Christ. Paul mentioned this mystery in a number of other places as well like Romans 11:25 and 16:25-26 and Colossians 1:26-27. In these and other passages, Paul referred to different aspects of the Christian outlook on the last days in Christ as mysteries because they had been kept hidden from previous generations. The mysteries that God revealed to the apostles and prophets led to an outlook on the new covenant age that New Testament scholars often describe as "inaugurated eschatology" or "the now, but not yet." Whatever terminology we may choose, we can see that Jesus and the writers of the New Testament taught that in God's plan for the last days, the fulfillment of the age of the new covenant was to take place in three main stages. Here, the author of Hebrews referred to the time of Jesus' earthly ministry and of his readers as "these last days." As this passage indicates, with Jesus' inauguration of the kingdom, the promised last days of the Old Testament, had come upon the world. Second, the continuation of the new covenant epoch extends throughout the entire period of church history. During this time, Christ spreads the church throughout the nations through the proclamation and transformative influence of the gospel. But mark this: There will be terrible times in the last days. People will be lovers of themselves, lovers of money, boastful, proud, abusive, disobedient to their parents, ungrateful, unholy, without love, unforgiving, slanderous, without self-control, brutal, not lovers of the good, treacherous, rash, conceited, lovers of pleasure rather than lovers of God — having a form of godliness but denying its power (2 Timothy 3:1-5). The sins listed here for "the last days" were sins that were occurring in Paul's day, and that have continued to occur throughout history and into the present day. This mystery, which for ages past was kept hidden in God … [is] that now, through the church, the manifold wisdom of God should be made known (Ephesians 3:9-10). In this light we are right to treat the entire period of church history as the new covenant age. Here Jesus taught his disciples about his relationship to the Father. His reference to the "last day" points forward to that ultimate final day when he will return in glory, the dead will rise, and God will judge the world. The mystery of [God's] will … which he purposed in Christ, to be put into effect when the times will have reached their fulfillment — to bring all things in heaven and on earth together under one head, even Christ (Ephesians 1:9-10). As the New Testament indicates, Jesus inaugurated the new covenant in his first coming, he continues to reveal the new covenant through the worldwide church today, and the full judgments and blessings of the new covenant age will come when Christ returns in glory as king over all. Having explored the fulfillment of the new covenant in Christ, we're now in a position to turn to the second main topic of our lesson: our modern application of Scripture based on the unfolding character of the new covenant epoch. As we'll see in later lessons, there are many things to be said about the application of Scripture to people living in the new covenant age. Among these are countless cultural and personal considerations. But at this point, we want to see how the New Testament teaching about the three stages of the new covenant guides us in applying the Bible to our lives today. These aspects of application are rather general, but they provide us with indispensable perspectives on how we are to use the Scriptures in our lives today. Everyone who's watched a play in a theater knows that where you sit affects your perspective on the performance. The same character and actions can look very different from different angles. And the best way to take in the whole presentation is to see it more than once from different seats. In many ways, this is how Jesus and the New Testament authors taught the Christian church to apply the Scriptures in the new covenant age. By examining Scripture from different vantage points, we're more equipped to apply the Bible to our lives. Imagine a faithful follower of Christ reading the Scriptures on a stage whose backdrop divides into three large panels. From one side of the audience, we see that the Christian reads the Bible against the backdrop of Christ's inauguration of the new covenant. From the middle of the audience we see that the Christian reads the Bible against the backdrop of Christ's continuation of the new covenant. And from the opposite side of the audience, we see him reading the Bible against the backdrop of Christ's consummation of the new covenant. In one way or another, followers of Christ are to apply the Scriptures to the modern world by studying the Bible with all three of these perspectives in mind. In other words, when studying the Bible, believers need to relate every Scripture to what Christ has already accomplished in the inauguration of the new covenant and consider everything Christ accomplished for us in his earthly ministry. But we also have to view the teachings of Scripture in light of the continuation of the new covenant age and search for the significance of Scripture in our lives today. Additionally, it's important that we view the Scriptures through the lens of what Christ will accomplish in the consummation of our age and live in readiness for Christ's wondrous return in glory. There are many ways we could explore these three perspectives on new covenant applications, but we'll touch on just two important points. First, we'll summarize some general guidelines for application in the new covenant age. And second, we'll offer an example of application that illustrates these strategies. Let's begin with some general guidelines. As this definition points out, every application of Scripture involves appropriately connecting original meaning to contemporary audiences. First, we need to determine the original meaning of a biblical passage by identifying the ways biblical authors sought to impact the concepts, behaviors, and emotions of their original audiences. Then, we can apply this original meaning to contemporary audiences by determining how a biblical passage should impact the concepts, behaviors and emotions of people today. As we've seen in other lessons, it's important to keep epochal developments in mind when we apply the Scriptures because originally every passage of Scripture was written for people living in a different stage of biblical faith than our own. So, at this point in our lesson, let's focus on the ways epochal developments connect the original audiences of Scripture with contemporary audiences living in the new covenant age.  To see what we have in mind, we'll look briefly in two directions. First, we'll make some general comments about new covenant applications of Old Testament passages. Then second, we'll do the same with New Testament passages. Let's begin with the Old Testament. As we have seen in a preceding lesson, the Old Testament refers to six major covenants in biblical history, but the writing of Old Testament books took place in only two of these covenant ages: the covenant epochs of Moses and David. Every Old Testament passage was designed to address the needs of God's people living either in the covenant epoch of Moses or during the covenant epoch of David. As such, Old Testament passages originally conveyed to God's people sets of concepts, behaviors and emotions that were appropriate for the theological developments of these two covenant epochs. For this reason, it's necessary to build bridges of meaning from Old Testament passages to the new covenant epoch. As followers of Christ, we know that the only infallible guide in this process is the New Testament. So, it's essential to look for ways New Testament authors applied the Old Testament to all three stages of the new covenant. For instance, the New Testament gives us many examples of the ways Christ fulfilled Old Testament teachings in his first coming. It also draws attention to the ways Christ continues to fulfill Old Testament teachings during the continuation period. In addition, the New Testament points to the ways Christ will fulfill Old Testament teachings in the consummation of the new covenant. With this basic pattern for applying Old Testament passages in mind, let's turn to the application of New Testament passages to the new covenant age. At first glance, it may appear that there's no need to consider epochal developments when Christians apply the New Testament because the New Testament was written in the epoch of the new covenant. But it's important to keep in mind that the entire New Testament was composed during the inaugural stage of the new covenant. Today, we no longer live in that stage. Rather, we live in the continuation of the new covenant age. So, we need to keep this epochal distinction in mind when we apply the New Testament to our lives. New Testament books came from the hands of the foundational leaders of the church and were initially written for people living during the inauguration of the new covenant epoch. What these authors wrote has many implications for us as we live in the continuation of the new covenant age. So, even though we live thousands of years after these works were written, they have unquestionable authority for us. Consider just a few of the differences between our lives today and the times in which the New Testament was written. For instance, unlike today, appeals for guidance could be made directly to individual apostles and prophets who were living at that time. We see this in the book of Philemon. Moreover, widespread issues could be decided by the interactions of the church's foundational leaders, as in the Jerusalem Council in Acts 15. But in our day, we don't have these foundational authorities living among us. So, we have to rely on the New Testament's summations of their teachings to help guide us. In addition to this, the New Testament contains many examples of miraculous and supernatural events. Jesus and his apostles and prophets were especially gifted to perform such feats to establish their authority. While this was true then, authority today is established only by the standard of the New Testament itself. If we forget this distinction, we'll often have false expectations for our day. To be sure, God continues to work miracles in the church during the continuation of the new covenant, but we should not be disappointed to discover that in this age such events do not occur with as much frequency as they did when Christ and the apostles lived on the earth. Moreover, New Testament authors devoted themselves primarily to doctrinal and practical issues that were particularly important for the inauguration of the new covenant. For instance, hardly any issue received more attention in the New Testament than the expansion of God's kingdom from its Jewish roots to the Gentile world. Controversy after controversy addressed in the New Testament dealt with how followers of Christ were to observe or not observe Old Testament practices and additional Jewish traditions. While it's true that these teachings have implications for the church today, the Christian church has gone beyond many of these foundational controversies. As the gospel continues to spread throughout the world, we face different sorts of issues. For this reason, when we apply the New Testament to the modern world, it's crucial to understand that the original meaning is based firmly in the inauguration stage of the new covenant era. With that original meaning in hand, we can then apply it to our own time by taking into account further developments within the new covenant age. Having seen the general guidelines for application of the new covenant in both the Old and New Testaments, let's look at an example in Scripture that illustrates these principles. We'll use the Bible's emphasis on warfare as our example. Everyone familiar with the Bible knows that it gives a lot of attention to the theme of warfare against evil spirits and against the nations that follow them. Nearly every book in the Old Testament touches on this theme in one way or another. And the New Testament repeatedly indicates that the war against evil found in the Old Testament continues in the new covenant epoch. The prominence of this theme raises a crucial question. How are we to apply it to our lives today? Whether we read the Old Testament or the New Testament, if we want to gain a fuller picture of how this theme applies to our lives, we must view it in light of the three stages of the new covenant epoch in Christ. In the first place, we should give attention to the inauguration of our age. The New Testament makes it clear that some aspects of the theme of war against evil in the world were fulfilled uniquely in Jesus' earthly ministry. Jesus himself referred to what was happening in his ministry with his disciples as victory over evil. For instance, in Luke 10:18-19, we read Jesus' reply when his disciples returned from having cast out demons. I saw Satan fall like lightning from heaven. I have given you authority to trample on snakes and scorpions and to overcome all the power of the enemy (Luke 10:18-19). [Jesus] disarmed the powers and authorities, [and] made a public spectacle of them, triumphing over them by the cross (Colossians 2:15). In a similar way, in Ephesians 4:8, Paul referred to Christ's resurrection and ascension as his victory in war. In light of these and similar passages, whenever we come upon the theme of warfare against God's enemies in the Old or New Testaments, we should always keep in mind how Christ fulfilled his role in this war during the inauguration of the new covenant age. Apart from what Christ has already accomplished, there is no hope of final victory over the powers of sin and death. In addition to the inauguration of our age, whenever we encounter the theme of warfare in Scripture, we must be ready to apply it to the continuation of the new covenant epoch. Although Christ himself initiated the final defeat of evil in his first coming, the New Testament teaches that this war is still very much a part of the experience of every believer throughout the history of the church. 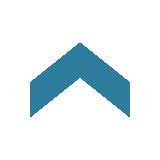 [God] has committed to us the message of reconciliation. We are therefore Christ's ambassadors, as though God were making his appeal through us. We implore you on Christ's behalf: Be reconciled to God (2 Corinthians 5:19-20). As God's people living during the continuation of the new covenant, we are not warriors toward our fellow human beings. Instead, we are "Christ's ambassadors" who seek to rescue human beings from the dominion of sin through the spread of the gospel of Christ. We further the defeat of Satan's kingdom by urging people to, "Be reconciled to God." Thanks be to God, who always leads us in triumphal procession in Christ (2 Corinthians 2:14). Whether we are drawing examples of warfare from the Old Testament or from the New Testament, followers of Christ should always be ready to apply this theme in their daily ministry during the continuation of the new covenant. Not only does the New Testament associate the theme of war with the inauguration and continuation of our age, but with the consummation of the new covenant epoch. I saw heaven standing open and there before me was a white horse, whose rider is called Faithful and True. With justice he judges and makes war… The armies of heaven were following him, riding on white horses and dressed in fine linen, white and clean. Out of his mouth comes a sharp sword with which to strike down the nations. "He will rule them with an iron scepter" (Revelation 19:11-15). In many ways, this scene of Christ waging the final battle against evil is our hope for victory and eternal life in the new heavens and new earth. When the final defeat of sin and death have taken place, Christ will reign and invite all of his followers to reign with him in victory. We should always remember to interpret the theme of warfare found throughout Scripture in light of the great consummation of Christ's return as the conquering warrior. The way in which the New Testament handles the theme of war is instructive for us as we apply the Scriptures to our own day. To be sure, we have to study every theme individually because the New Testament develops them in different ways. Yet, to apply any biblical theme more fully, we must see how it is viewed in the light of the inauguration, continuation and consummation of the new covenant age in Christ. No matter how we begin to explore any topic, whether we begin in the Old or in the New Testament, as followers of Christ we can apply these topics to our lives by discovering how they are fulfilled in all three stages of the new covenant epoch. In this lesson on modern application and the new covenant, we've looked at the ways in which the new covenant in Christ should affect our application of the Bible to the modern world. We've noticed how the fulfillment of Old Testament hopes for a new covenant can be seen in the inauguration, continuation and consummation of our epoch in Christ. And we've illustrated how the application of every theme of the Old and New Testaments to modern life should accord with these same three stages of the new covenant. The new covenant in Christ is no small matter. Rather, it's the culmination of God's purposes for all of history. And as such, the new covenant in Christ affects how we are to apply every portion of the Bible in our modern world. As followers of Christ, we must read the Scriptures in the light of the way God accomplishes his purposes in Christ. We look back to what Christ has already done, we look at what he's doing now, and we look forward to what he will accomplish when he returns. Only then will we rightly apply the Scriptures to our modern world as people of the new covenant.